Whilst Ellisons do not have fully fitted out 'Band/Sleeper Buses', we are frequently requested to provide buses for crew and bands who wish to be transferred from venue to hotel. In these instances a fully equiped 'Tour' bus is not required, but a comfortable seated one, with the ability to make tea or coffee and the use of a TV Monitor for DVD. 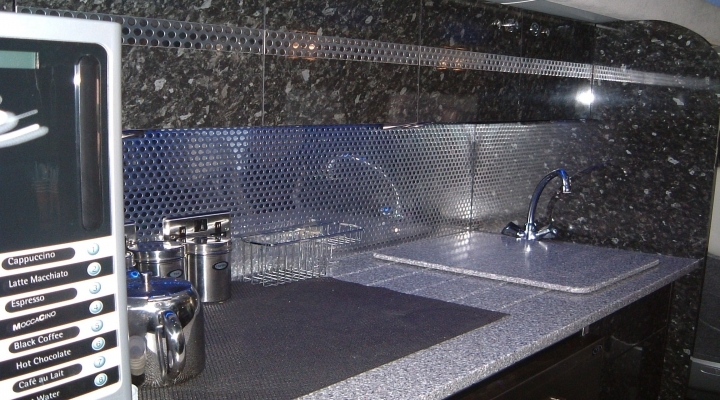 The Premiership vehicles are ideal for this purpose, as they are comfortable, safe and have privacy glass. The driver is discreet and experienced in moving VIP clients. In the Corporate Range, the Irizar i6 is perfect for transferring crew or cast to the next location overnight, as they have comfortable reclining aircraft style seats which also make them an ideal Day Bus. We work closely with most of the Industry Band Bus companies and are more than happy to liaise direct with them to coordinate transfers. Ellisons are proud to have worked over the years with Take That, Alfie Boe, Batman Live, Harlem Globetrotters, Four Tops, Temptations, John Wilson Orchestra, Gladys Knight, Frankie Valli, George Benson and many others.